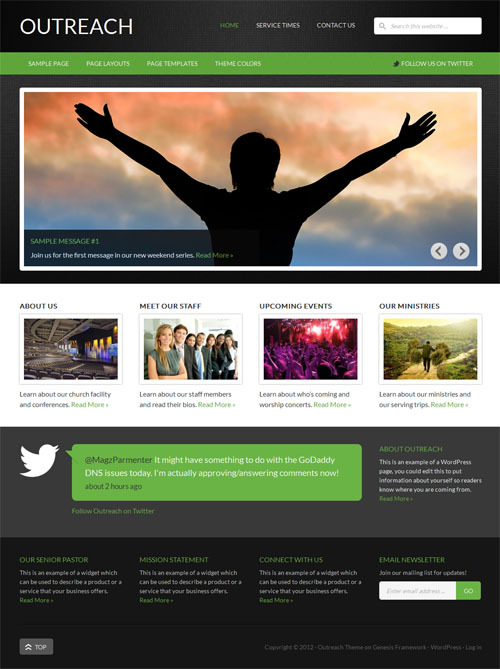 A responsive church theme theme for the Genesis Framework from StudioPress ideal for church, organization, non profit or small business websites. The theme features include 6 layout options, custom background, custom header, theme options, featured images and all the other great Genesis Framework features. Outreach 2.0 is an update of the original Outreach theme and includes major code and design updates as well as being updated for mobile responsive design.